"And I - I have shown him ? that a man without hope is a man without fear." The definitive Daredevil tale, by industry legends Frank Miller and David Mazzucchelli! 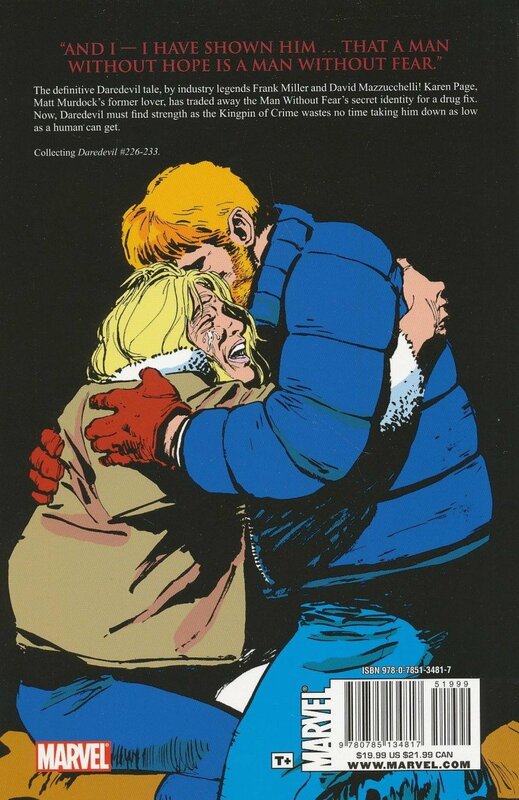 Karen Page, Matt Murdock's former lover, has traded away the Man Without Fear's secret identity for a drug fix. Now, Daredevil must find strength as the Kingpin of Crime wastes no time taking him down as low as a human can get.